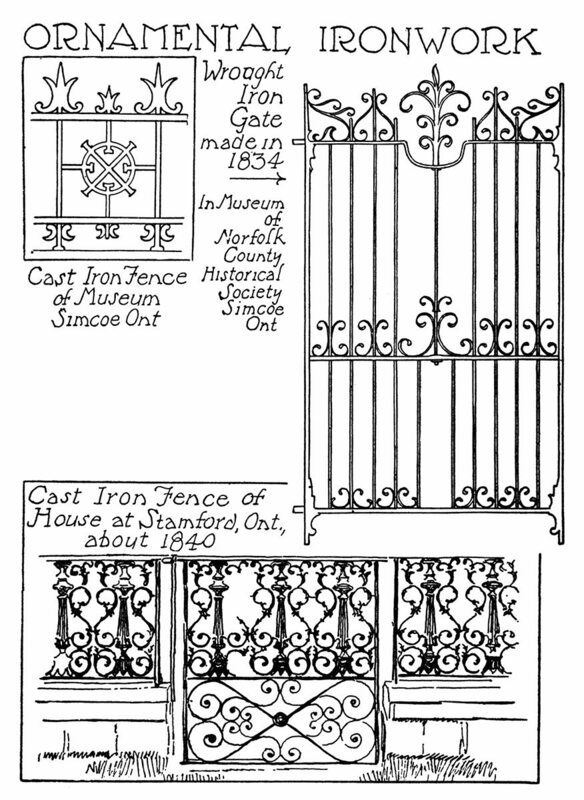 In many villages and towns in Eastern Canada there were small foundries in which was cast ornamental iron for gates, fences, roof crest finials, etc., all much in fashion from the middle of the century until the eighties. The patterns for these were often designed locally. 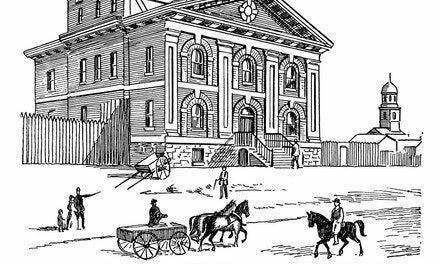 Those of a more elaborate style were produced in larger establishments in the cities. 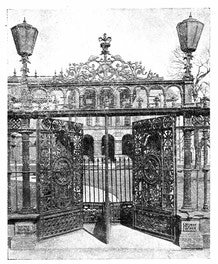 Of these latter, conspicuous examples are the extensive fences surrounding the grounds of Osgoode Hall and St. James Cathedral, Toronto.